Inquiry question: How do places and cultures differ around the world? 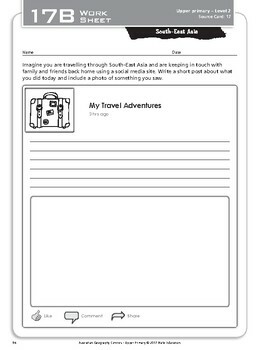 This colourful Australian Geography Centre Card is just one of 15 that have been written for Year 6 students. 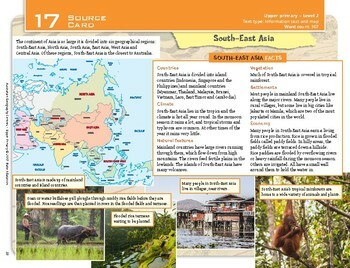 The Source Card should be laminated with the Activity Card on the reverse side and stored with the rest of the series in a classroom Geography Centre. The Australian curriculum code for the corresponding content description is provided for every task. This card covers ACHASSI122, ACHASSI124, ACHASSI128, ACHASSI129, ACHASSI131, ACHASSI133.